You have plenty of options but the options never quite fit into your line of work or expectations. But between the Non-B visa, Retirement visa, Education visa, Tourist visa, Elite visa and Smart visa, along with a few visa runs and trips to your local immigration office, you can usually fernangle a long-term stay in Thailand (yes, we know we used nick names for some of the visas). 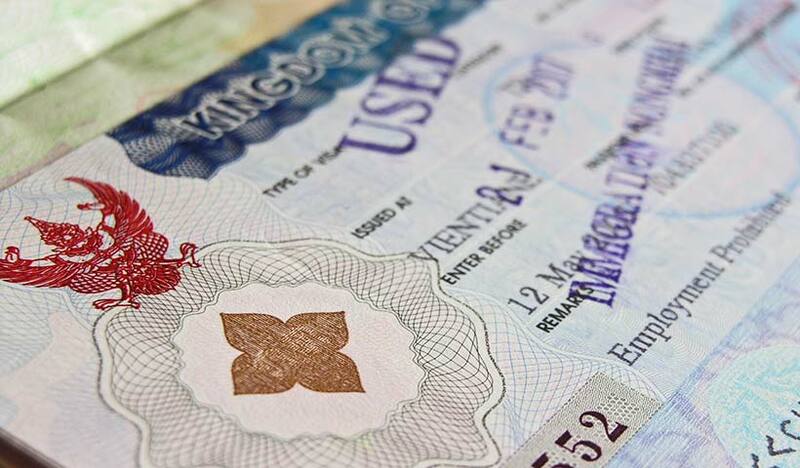 One way or the other you will need to keep your paperwork up to date as the fines for over-stays and visa problems can be quite aggressive and difficult to negotiate your way around these days. There’s plenty of good information on the net about visas but, despite what you read, interpretation may be different on the day you visit the local office and depending who you end up speaking too. 2. YOU CALL IT CORRUPTION. THEY CALL IT BUSINESS. 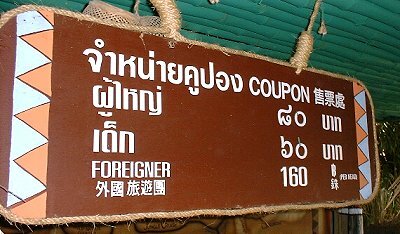 You are a guest in a foreign country. Thailand has a long history of independence and hasn’t been tainted with a lot of western influence. Unlike Myanmar, Laos, Vietnam, Malaysia, Singapore, Indonesia. Philippines and India (just to list the countries around Thailand), there has never been western colonisation of the Kingdom. And most Thais will be delighted to remind you of this proud fact. The down-side is that your perception of western efficiencies and customs are going to be challenged whenever you want to do just about anything. 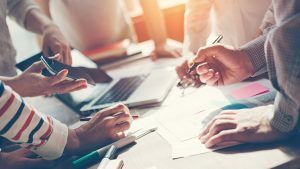 There will be times when you will be asked, or invited, to put your hand in your pocket to get something happening – it could be a building project, a visa, getting your accounting done or getting a signature on a contract. If you are running a business in Thailand you’ll be invited more often than if you’re just living the single life here. Be shocked, be angry, be determined to point out your isses with corruption – it’s not going to change a system that has been in place for generations and unlikely to change much during your time in the Kingdom. Thais and Thai bureaucracy loves paperwork. You will be bewildered by the amount of paperwork generated for the most simple tasks. We’ve decided that there must be a huge building somewhere in Thailand that just holds mountains of paperwork that will never, ever be seen again. 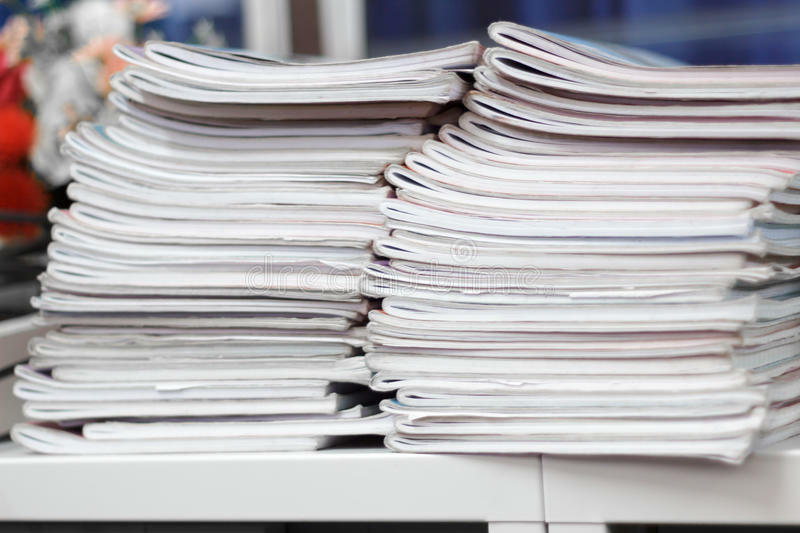 Despite computers, modern banking and the concept of the ‘paperless office’, you will see paperwork generated at the expense of perfectly good trees in quantities you can’t even start to imagine. How about 32 A4 pages of paperwork for changing one brake disc in a 12 year old Honda Jazz? 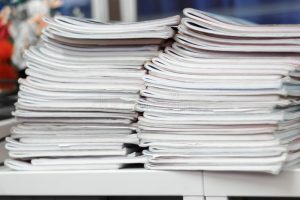 Watch in wonder as the photostat machines and bubble-jet printers churn out paper you probably can’t even read and get placed into files that will likely never be read by anyone else. Despite a US NGO voting Thailand as one of the best places to start a business in Asia (try and hold back your laughter), starting a business in Thailand can be 1) challenging 2) an adventure 3) bewildering 4) perhaps impossible. Or all four at once. Free you mind of anything you’ve learned in the west about starting a business, jump onto Google and find a good local Admin. person or lawyer. Do it all yourself at your peril. Just because the Thai GF can pour a beer or ‘knows someone’ is no guarantee that things will go smoothly. Running a Thai business never ever goes the way you plan. Ever. Between your visas, business registration, Labour Office, Department of this and that, accountants and your Thai staff is a wall of red tape, twists, turns and WTFs that will test your resolve. The effort is usually all worth it but you’ve been warned! Dot your ‘i’s and cross your ’t’s and check everything thoroughly before you sign a document. And then do it again. Go to a small local restaurant in any holiday area and there will likely be several versions of the menu – one for locals and one for tourists. Off course the menu for the tourists has the same food listed at higher. 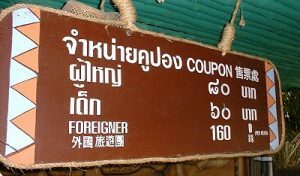 Go to any national park in Thailand and the entry price can be as much as 1000% higher for ‘farang’ and tourists. It’s just a fact of life much-debated, and you probably just need to accept it. If you do confront a two-tier pricing issue from time to time get out your Work Permit or local drivers licence and the higher price is usually waived. But not always. The 20-something bar girl with the short skirt and fetching smile probably doesn’t love you. 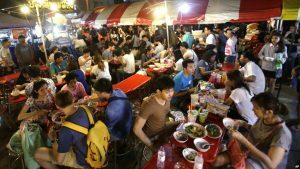 Whilst many westerners seem to gravitate to Thailand to indulge in the local pleasures of the flesh, a long term relationship and partner may take more time to cultivate than a round of expensive drinks and some small talk with a bar girl whose vocabulary will likely range between the cost of drinks and routine pleasantries, Ka. You’ll have better luck on Tinder or, heaven forbid, taking a lady out on a date and getting to know her. 7. BUT THAT’S NOT HOW I DID IT LAST TIME! Immigration rules, negotiating with police, business rules, road rule enforcement. The way you tackle some of these day-to-day little ‘impediments’ should be treated as a single adventure and not to be referred to in the future as the-way-things-are-done. 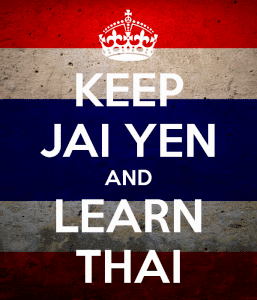 Whilst Thailand has well described rules, regulation and laws relating to just about everything, they are often applied and enforced in a way that may appear unfair or inconsistent. The way police negotiate who was responsible at an accident will be different everytime. It used to be folk lore that if if there’s any issue to be sorted out between a Thai and a foreigner, the Thai will always come out ahead. From personal experience I would say that’s no longer the case but always be prepared to ‘wing it’ in any given situation. If there are going to be police or the law involved best to get someone speaking Thai, the local Tourist Police or someone in-the-know to help you wade through potential problems. Stamp your feet, raise your voice, point at the absurdity of the situation over and over. I can guarantee it will make absolutely no change to the final outcome. Losing your cool will simply not help any situation and will likely inflame it further, to your detriment. Ask for the manager, describe your point-of-view in exquisite detail on a sheet of paper, get out the finger puppets or turn to Google Translate – go for it. 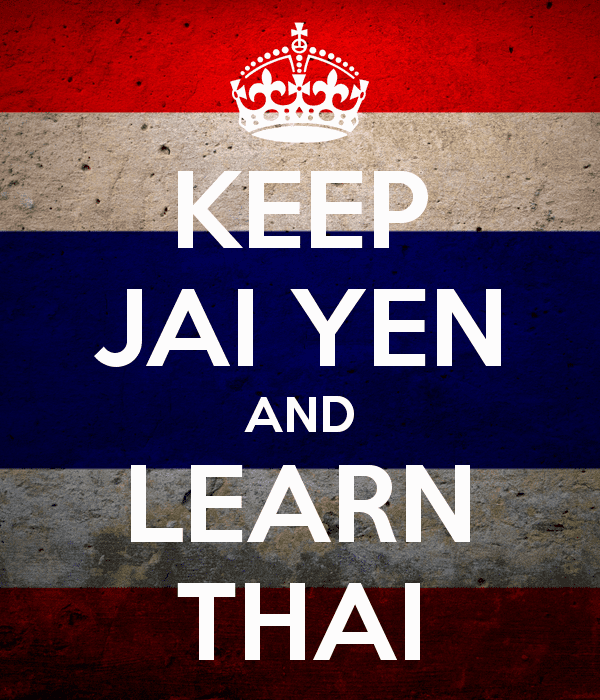 But never lose your temper and try not to raise your voice because it’s just not the Thai way. 1) They will smile in silence at you whilst you point out that their website said something completely different 2) They will go and discuss the matter with other staff and come back to you with precisely the same answer they gave you in the first place. 3) They will listen to your rant and think you are completely insane without actually saying so 4) They will simply walk away whilst you are just getting warmed up 5) They will get angry… you NEVER want that to happen, you’ll come off second best every time. Jai yen. Despite their generally affable nature, great food and endless smiles, Thais don’t do the driving thing well. And it’s dangerous Depending on which list of stats you want to believe, Thailand is either the most dangerous or the second most dangerous country to drive in the world. If you are in a car your chances improve a lot. If you’re older or female, the odds improve further in your favour. If you are on a motorbike but wear a helmet you’ve also improved your chances of surviving Thailand’s roads. 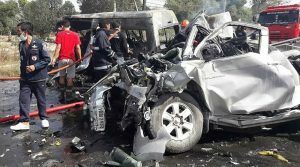 Christmas/New Year and Songkran (Thai new year) are the times of the year when Thais wipe themselves off their roads in astonishing numbers and all the police checkpoints, Government media releases and changes to laws do little to curb the carnage. The biggest contributor to this national disgrace is drunk driving with speeding coming a close second. Despite almost draconian laws on alcohol advertising the message about drink driving simply isn’t sinking in. 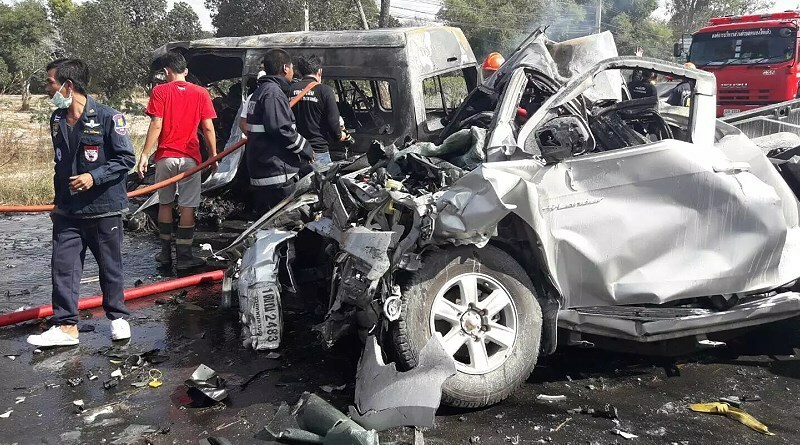 Attitudes and a commitment to enforcement is slowly changing but it’s a long-tough road ahead for the people of Thailand to tackle their shameful road toll. 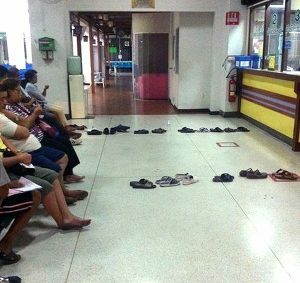 Queues and waiting in line are just a part of modern Thai life. Whether it’s waiting in the Immigration queue at the airport or your local office, at the local convenience store or at a public hospital, your wait is just a function of all the other systems that lead to inefficiencies and delays. It might be well argued that it’s not only Thailand where queues have become a part of life but in Thailand many situations seem quit easy to fix, at least to the person waiting in line (who usually has plenty of time to contemplate solutions). Immigration queues at airports are becoming longer even though the well-publicised delays have been acknowledged, more computers installed and more staff trained. You can be waiting for an hour to get through immigration at any Thai airport with only half the stations staffed and spare staff standing behind passport control drinking coffee and checking their Facebook. But it’s all managed with a smile once you get your moment in front of the funny pod camera for your photo. So what can you do with many of these challenges? In most cases, keep smiling, take a deep breath and remember why you came to live in Thailand in the first place. Despite the thousand and one little annoyances and inconsistencies it’s still a wonderful place to live. A few days on Thai Visa would make you think that all expats ever do is whinge and complain about life in the Land of Smiles. It’s a bad example of expat life and most of us find our way through these challenges with a bit of patience, grace, a good book or a smartphone with a full charge. We are, after all, guests in the Kingdom of Thailand and it’s up to us to find away around THEIR systems, as best we can. There is an airport nearby, in most cases, with multiple flights out of the country if you’re truly aggrieved by any situation. Get some good locals around you, do some research before you embark on any new task and keep an eye on your rear-view mirror.